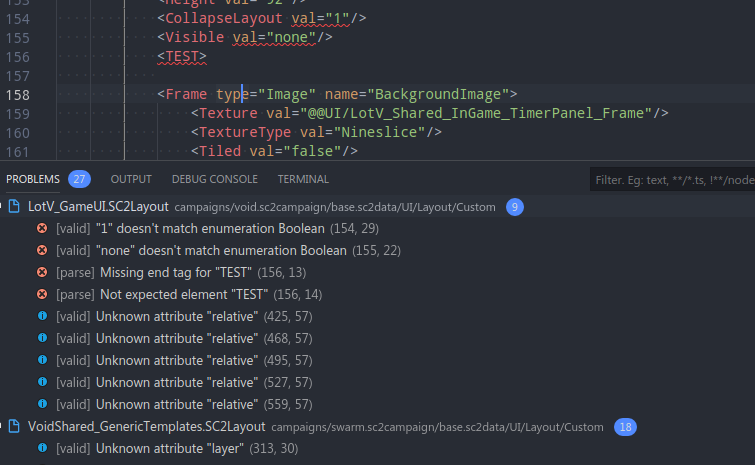 Visual Studio Code>Programming Languages>StarCraft 2 LayoutsNew to Visual Studio Code? Get it now. 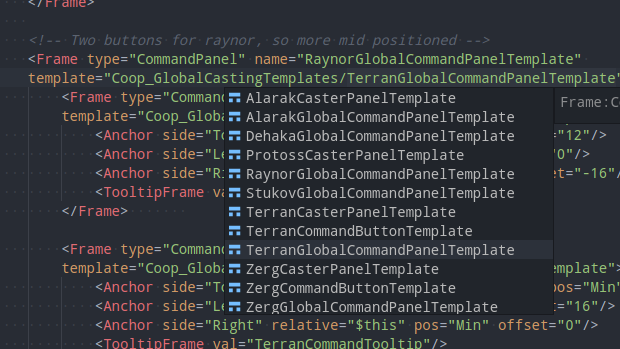 Support for SC2Layout language, utilized in games like StarCraft II and Heroes of the Storm. 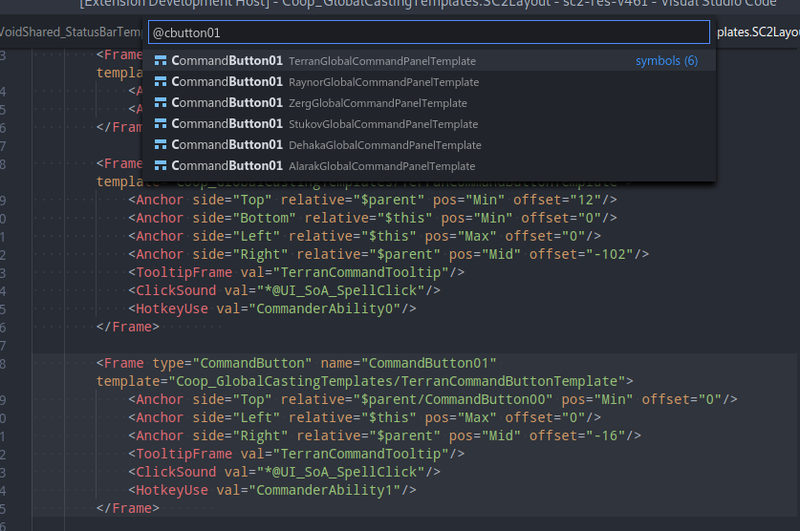 Visual Studio Code extension introducing support for SC2Layouts language, utilized in games like StarCraft II and Heroes of the Storm. Post-process binding of the DescTree. 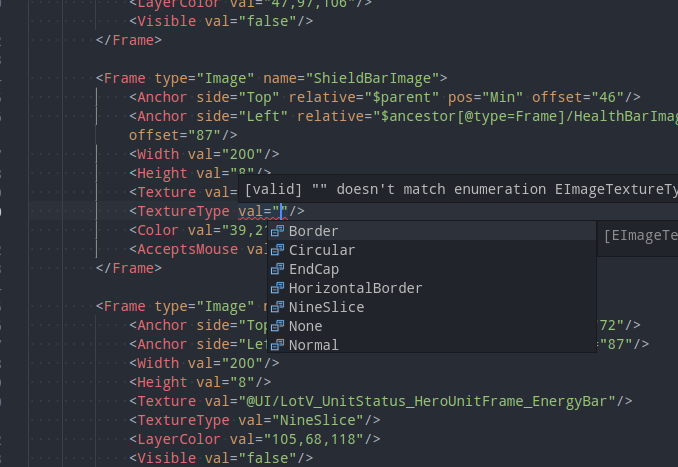 [x] Rich context aware code completions. 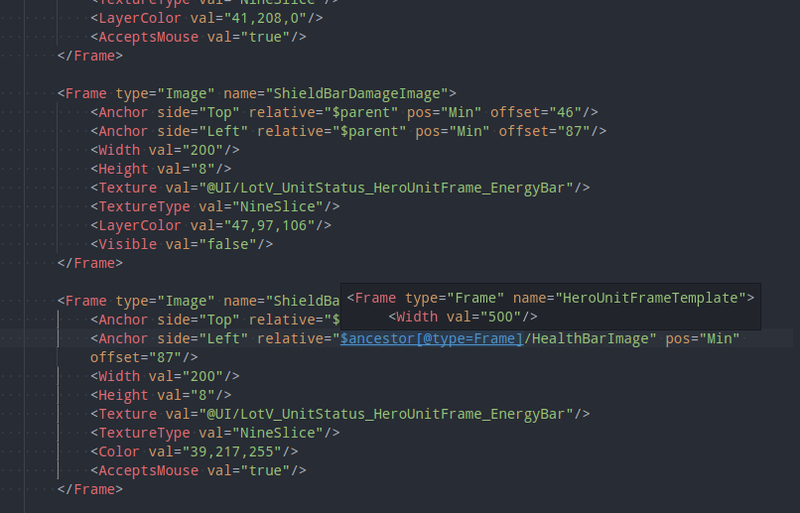 XML declarations based on the schema. [x] Document and workspace symbols navigation list.